The latest phase of the project has seen ZS blowers installed at the Little Eaton Water Treatment Works in Derbyshire, which supplies safe, clean drinking water to the growing community in the city’s North-West area. 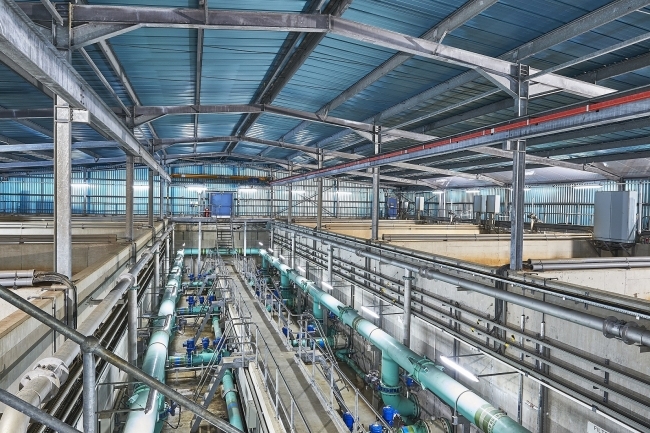 Over time, it became clear that the site’s RGF process required a significant overhaul in order to improve operational efficiency, which would require the replacement of its existing blower installation. As one of the main contractors for Severn Trent’s infrastructure upgrade project, civil engineering company MWH Treatment Ltd took on responsibility for the entire Little Eaton refurbishment programme. 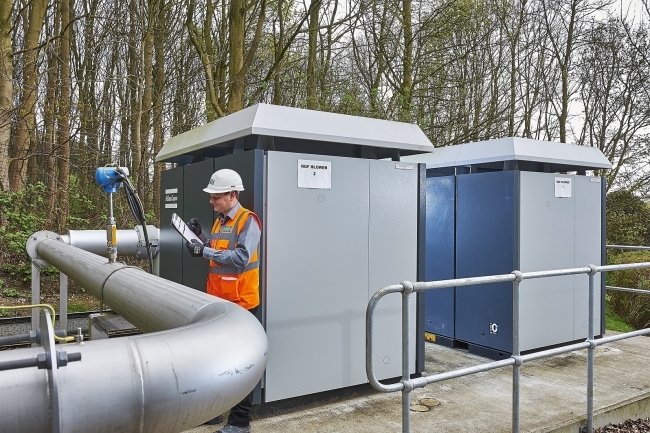 When it came time to make a decision on replacing the site’s existing blowers, MWH turned to authorised Atlas Copco distributor Cooper Freer to specify, deliver and install two ZS 75+VEA-C-600 low pressure blowers, together with all associated stainless steel pipework. The blowers were subsequently positioned on a high level external site adjacent to the RGF galleries. ZS rotary screw blowers are commonly available with integrated VSD control. However, the new blowers at Little Eaton were supplied as variable speed units linked to the plant’s own existing inverter control system. Severn Trent Water chose MWH as one of the design and construct contractors for its AMP6 framework. MWH will work alongside Severn Trent Water’s own staff to manage the operation, supporting the delivery of its programme of work throughout AMP6; which runs until March 2020. Apart from Little Eaton, Cooper Freer has installed four Atlas Copco 90 kW ZS variable speed blowers to replace all the existing lobe blower technology at Severn Trent Water’s Worcester treatment plant.